ThermoFab’s commitment to innovation and quality has produced many award-winning products that our clients are proud to put their name on. Each year the Society of the Plastics Industry, Inc. recognizes thermoformed products with superior aesthetics, creativity, functionality and design difficulty with the ThermoForming Institute National Award Winners (TINA). 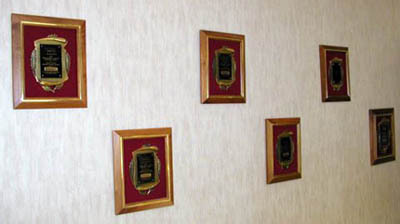 ThermoFab is the recipient of many awards, a few of which are shown below. 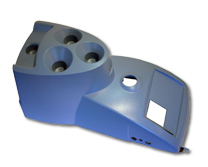 Take a look then give us a call at 888-494-9777 to discuss how we can help you bring your product to market. 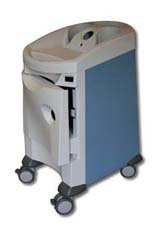 This 20"x20"x40" Medical Cart is comprised of pressure formed top, front and door units attached to an intricate metal chassis with formed bumpers and attached casters. The entire cart is assembled at ThermoFab and ships Dock to Stock. ... molded perfectly, every time. This ambitious Pro/E design is an excellent example: The 17 piece pressure-formed 28"x48"x62" medical assembly won the Thermforming Institute's National Award! 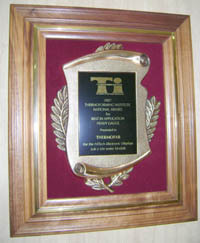 Choosing ThermoFab as the Award Winner was an "open & shut case"! Thermo-Fab did it again with this 24"x34"x75" heavy gauge pressure formed panel set. Our award-winning assembly consists of fourteen pressure formed parts with five hinged access doors. 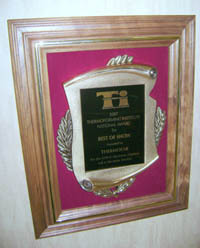 Thermoforming Institutes National Award Winner right off-the-block! The Digiblock Teacher Board helps teach students base 10 counting with unit blocks. 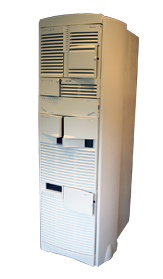 The fabrication is comprised of multiple components and is integrated with complicated functional internal hardware. 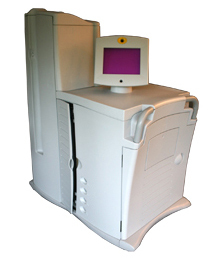 ...Thermoforming Institute's National Award for the RDP Medical Liquid Analyzer. The difficulty and depth of draw made this part a winner. There were also complex secondary interior assemblies with multiple components which presented the formation of unique engineering geometries. Wanna see more products? View our portfolio then contact us. Together we can make yours an award winner!